I start to imagine what a normal human being would ever need 13 Billion British Pounds that’s 27 trillions of Naira for in this limited world, which if divided according to the equivocal population of Nigerians 170,000,000 people each person will get over N158 millions. I wonder if former President GEJ could imagine that only one out of his ex-Ministers could steal such a stupendous amount under his administration without his knowledge. Wonders shall never end! In reference to the CNN report that the former Minister has made a refund of $90B already, how much is Dangote worth? As at today Dangote is worth $14.7B and the 67th in the world while Bill Gates was the 2nd with $ 79.2 on the Forbes list. Diezani is simply a wonder. Old pensioners are dying of hunger daily, Insurgency is consuming lives of innocent Nigerians, workers are no longer getting their salaries as at when due, Government can no longer build infrastructures, road all over the country are in complete bad shape and only one woman got away with this kind of money. 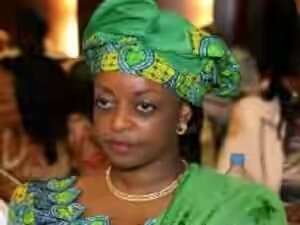 Nigeria is a wonder, while Diezani is a SHAME to PDP government. I am afraid of women in Government, what about you?